Vishal believes his contrarian approach to investing is a key reason why clients choose to work with him. He is proactive with client portfolios based on an intelligent, original perspective of the global economic and financial markets. 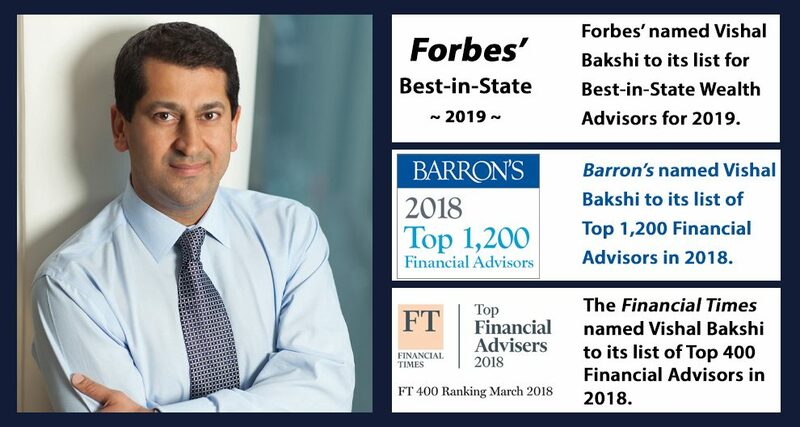 Vishal Bakshi offers wealth management/investment advice/guidance to an exclusive group of clients that includes entrepreneurs, business owners, CEOs, or board members of Fortune 500 companies and professional sports team owners. Like many of the clients he serves, he has worked hard to overcome initial disadvantages and excel in his chosen educational and career paths. Vishal grew up in public housing in New York and helped to support his family financially while he was still in high school. He went on to earn a bachelor’s degree in mechanical engineering from the General Motors Institute while working for the automotive manufacturer. He was also one of the youngest undergraduates at the time to be admitted to Harvard Business School, where he received his MBA. 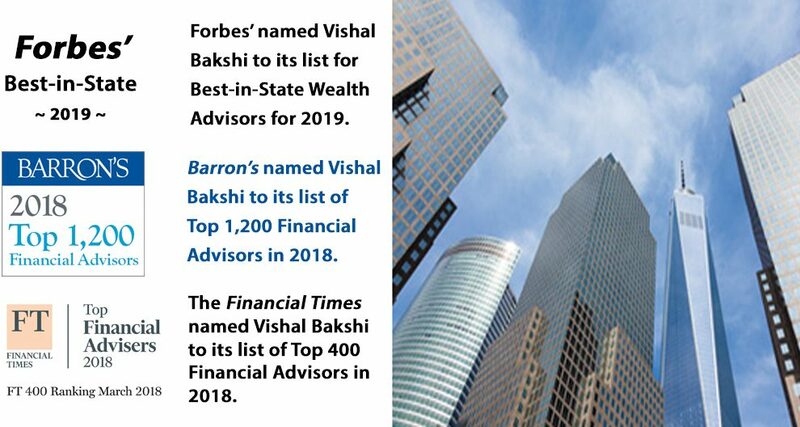 Vishal has been recognized as a Top Advisor by Barrons, the Financial Times and Forbes (Barrons Top 1200 Advisors 2012, 2013, 2015, 2016, 2017, 2018, 2019) / Financial Times Top 400 2016, 2017, 2018 / Forbes Best In State Wealth Advisors 2019). Vishal is a qualified Portfolio Manager who, in addition to providing traditional advice and guidance, can help clients pursue their objectives by building and managing his own personalized or defined strategies. 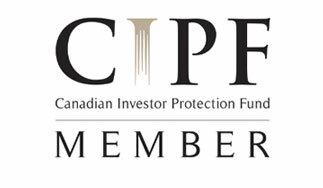 These may incorporate individual stocks and bonds, Merrill Lynch model portfolios and third-party investment strategies. When servicing clients through the firm’s Investment Advisory Program, a Portfolio Manager may manage his strategies on a discretionary basis. Fluent in American Sign Language, Vishal is active with Aspire of Western New York, a support organization for people with disabilities. He also participates in Cycle for Survival, a unique charity that raises funds for rare cancer research. *Source: Barron's “Top 1,200 Financial Advisors” list, March 11, 2019. For more information about the selection criteria, http://details-he.re/1u7KVH . Barron's is a trademark of Dow Jones & Company, Inc. All rights reserved. Years prior to 2014, this Barron's list consisted of 1,000 advisors. These rankings and ratings are not representative nor indicative of any one client’s experience, future performance, or investment outcome and such rankings should not be construed as an endorsement of the advisor. *Source: Barron's magazine, April 15, 2013, America’s Top 100 Financial Advisors list. Advisors considered for the "America's Top 100 Financial Advisors list" ranking have a minimum of seven years financial services experience and have been employed at their current firm for at least one year. Quantitative and qualitative measures used to determine the Advisor rankings include: client assets, return on assets, client satisfaction/retention, compliance records, and community involvement, among others. Barron’s does not receive compensation from Advisors, participating firms and their affiliates, or the media in exchange for rankings. Barron’s is a trademark of Dow Jones & Company, Inc. All rights reserved. The ranking or ratings shown here may not be representative of all client experiences because they reflect an average or sampling of the client experiences. These rankings or ratings are not indicative of any future performance or investment outcome. David joined Merrill Lynch in 2013 with five years of experience as an analyst in the private bank at Credit Suisse. He draws on his knowledge of alternative investments, mutual funds and other investment types to support Vishal in designing customized asset allocation strategies for client portfolios. In each of his interactions with clients, David is dedicated to making the service experience an exceptional one. 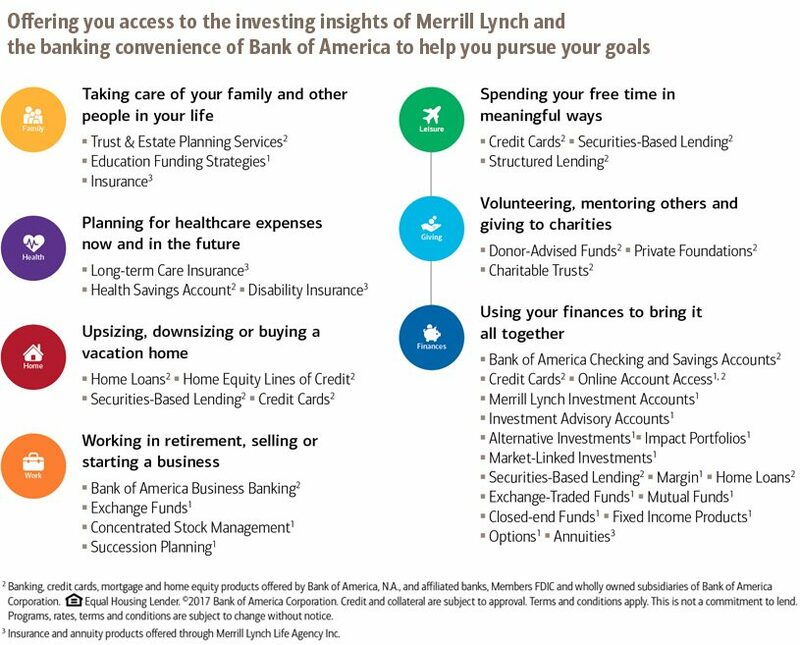 David uses BofA Merrill Lynch Global Research to assist with his research and then synthesizes financial information into specific investment recommendations to help clients pursue their individual financial goals. More specifically, a great deal of his time is spent evaluating specific equity ideas and hedging strategies for Vishal’s proprietary investment portfolio. David graduated from Colgate University with a bachelor’s degree in political science. He is an active member of the Colgate Finance & Banking Network. David also serves as an Officer for the David and Alan Greene Family Foundation, Inc.
Cynthia is a member of Bakshi & Associates within the Private Banking and Investment Group team at Merrill Lynch. Cynthia serves as a Registered Client Associate, focusing on portfolio analysis, managing and facilitating team operations. She is responsible for servicing ultra-high-net-worth-families, implementing trading operations, and addressing client requests in a time sensitive manner, seeking to deliver an exclusive client experience. Prior to joining Merrill Lynch, Cynthia was a Relationship Associate with the Credit Suisse Private Bank, where she worked for six years. She holds a B.A. in Business Administration from the University of Central Florida. 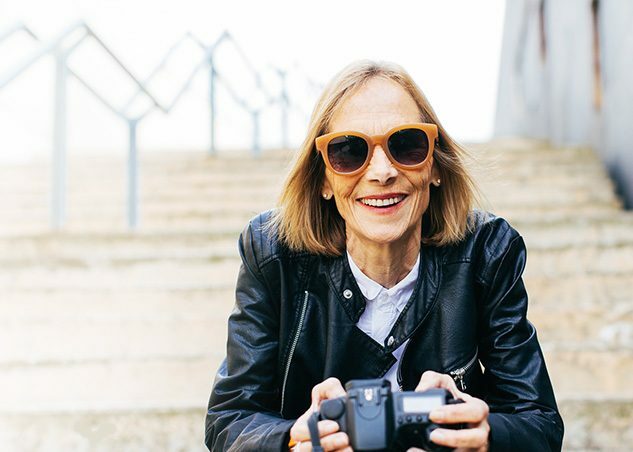 Cynthia lives in NY with her husband and two daughters. Antonia joined Merrill Lynch in 2017 from the UBS private bank in New York. Prior to that, she was an integral part of the Credit Suisse private bank’s trust and estate group. Antonia supports Vishal and the team by exceeding the wealth management needs of the group’s diverse clientele. Her primary responsibilities include executive administration duties and coordinating all operational aspects of client accounts. Antonia graduated from The University of Phoenix with a bachelor’s degree in psychology. In her spare time, she enjoys reading, meditation, and fitness training. She also enjoys volunteering in several Soup Kitchen programs to feed New York City’s homeless. 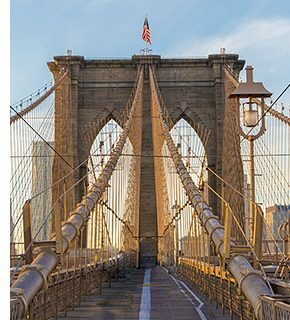 Bakshi & Associates combines an intensely rigorous approach to investing with a commitment to the highest levels of service for clients of extraordinary means and accomplishment. Vishal Bakshi feels privileged to work with a highly exclusive group of remarkable people, including entrepreneurs and corporate CEOs who have created substantial wealth in a single generation. Vishal serves an extremely limited number of individuals, families and family foundations. Focusing on a select few clients enables him to devote the time and personal attention he believes are essential to providing insightful advice and guidance. In 2013, Vishal was ranked number 20 on Barron’s magazine's list of America’s Top 100 Financial Advisors. "My personal journey, from a childhood in public housing to Harvard Business School and careers in engineering and finance, has given me a deep appreciation of the characteristics of successful entrepreneurs and business leaders. The clients I work with tend to share my values of self-motivation, the drive to succeed and a commitment to personal excellence. They demand and deserve exceptional service with meticulous attention to detail." Vishal Bakshi has set exceptionally high service standards for himself and his client service team. Team members share the belief that an exclusive clientele is entitled to constant care and personalized attention. They continually strive to deliver highly accessible, responsive service that will exceed client expectations. "I work hard to have clients feel that they are receiving premium-level service and astute professional guidance from an advisor who understands the many facets of their complex financial lives. My cohesive and talented client service team supports me in this commitment." *Source: Barron's “Top 1,200 Financial Advisors” list, March 12, 2018. For more information about the selection criteria, go to http://details-he.re/M6jwj7. Barron’s is a trademark of Dow Jones & Company, Inc. All rights reserved. Years prior to 2014, this Barron's list consisted of 1,000 advisors. Rankings and recognition from Barron’s are no guarantee of future investment success and do not ensure that a current or prospective client will experience a higher level of performance results and such rankings should not be construed as an endorsement of the advisor. *Source: The Financial Times “Top 400 Financial Advisers” (FT 400) is an independent listing produced by the Financial Times (March, 2018). The FT 400 is based on data gathered from firms and verified by broker-dealer home offices, regulatory disclosures, and the FT’s research. The listing reflects each advisor’s performance in six primary areas, including assets under management, asset growth, compliance record, experience, credentials and accessibility as identified by the FT. Neither the brokerages nor the advisors pay a fee to The Financial Times in exchange for inclusion in the FT 400. The ranking or ratings shown here may not be representative of all client experiences because they reflect an average or sampling of the client experiences. These rankings or ratings are not indicative of any future performance or investment outcome. * Source: Forbes "Best-in-State Wealth Advisors" list, February 2019. 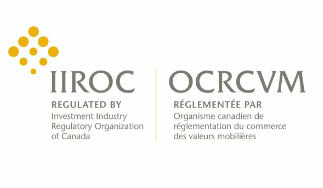 The ranking for this list by SHOOK Research is based on due diligence meetings to evaluate each advisor qualitatively, a major component of a ranking algorithm that includes: client retention, industry experience, review of compliance records, firm nominations; and quantitative criteria, including: assets under management and revenue generated for their firms. Forbes is a trademark of Forbes Media LLC. All rights reserved. Rankings and recognition from Forbes/SHOOK Research are no guarantee of future investment success and do not ensure that a current or prospective client will experience a higher level of performance results and such rankings should not be construed as an endorsement of the advisor. Vishal believes his contrarian approach to investing is a key reason why clients choose to work with him. He is proactive with client portfolios based on an intelligent, original perspective of the global economic and financial markets. 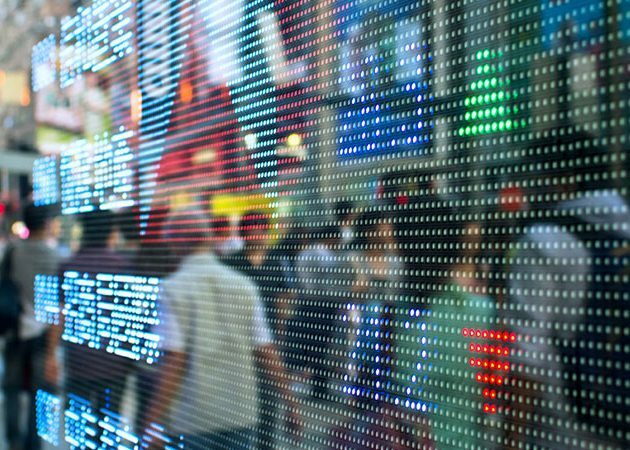 Vishal guides clients in developing individual asset allocation and risk management strategies rooted in a broader vision that begins with a thoughtful analysis of global economies and financial markets. Vishal’s viewpoints reflect his extensive study of economic and investment research and more than a decade of experience through a variety of market conditions. Investment portfolios are highly customized according to each client’s specific goals, liquidity needs, risk profile, time horizon and objectives, as well as business, tax and wealth transfer considerations. Vishal works with clients to establish clear investment guidelines and to construct diversified portfolios based on these criteria. 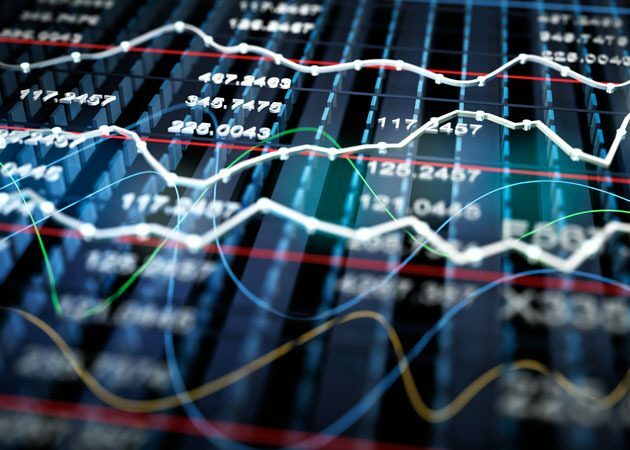 With the support of the financial analysts on his team, and drawing on research and his broad financial community network, he periodically assesses risk and analyzes each position in the portfolio. 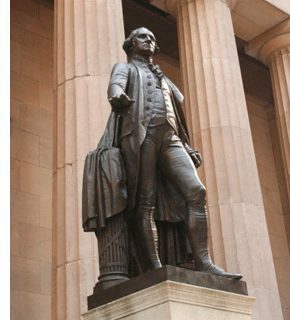 He may also suggest tactics designed to minimize the effects of market turbulence. "The clients I work with expect their private wealth advisor to have a distinct outlook on where global economies and financial markets are headed. I have strong convictions and insights into market behavior that I believe resonate well with clients who have worked hard to earn substantial wealth." 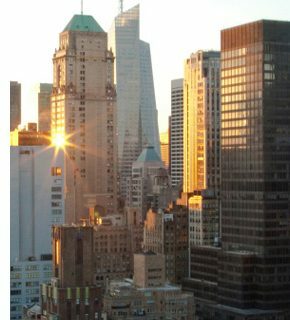 Bakshi & Associates can offer clients a direct connection to the deep resources and capabilities of one of the world’s largest global investment firms. Through Vishal and his team, clients have access to Merrill Lynch and Bank of America specialists—plus a full platform of services to help manage and integrate virtually every aspect of their financial lives. "Along with my wealth management experience, I bring a broad business context to client relationships. As a manufacturing engineer, I learned the power of teamwork. Furthermore, throughout my career, I have learned that the decisions facing creators of substantial wealth can be complex. Because of that, I am committed to harnessing all of the investment resources of Merrill Lynch and banking conveniences of Bank of America to help clients address those concerns."